I’ll be the first to admit that I love caramel sauce. Like… LOVE IT. I like to have it on everything – I’d even spread caramel sauce on caramel sauce. CARAMEL SAUCE IN THE INSTANT POT?????? You can make caramel sauce on the stove, which I have. I’ve stood there.. being careful not to disturb the sugar as it’s melting in the water.. and then the endless wasting time watching it boil.. and boil.. and then boil some more. Waiting till it came to “just” the right color. Then sploosh.. adding the cream. That was the scariest part of making this sauce because adding the cream would make it boil up like a volcano and it would scare the crap out of me, and I’d be there, stirring like a mad woman in the hopes that it didn’t overflow onto the top of the burners, and then you’d have burnt caramel sauce that stunk all over the place. Not to mention it’s hot as lava when it’s in that pot. Nope. I have this new other way! The Instant Pot!! The benefits of the Instant Pot shine through again!! 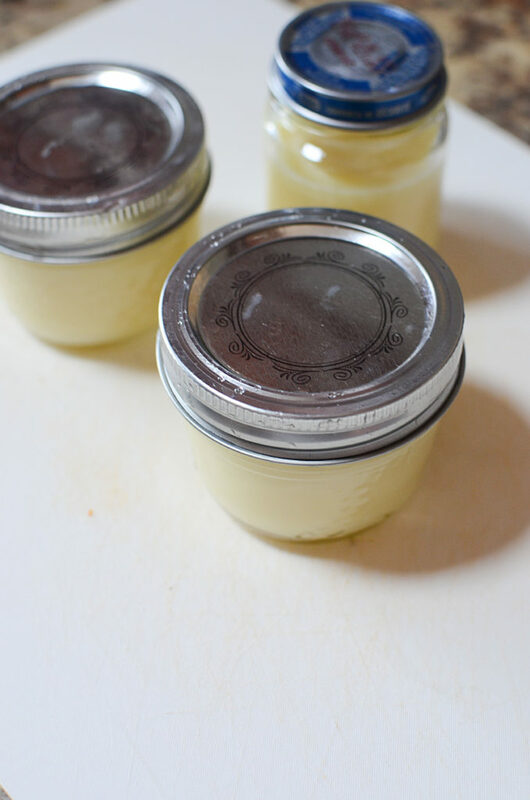 From everything making instant pot yogurt to now making instnat pot caramel sauce – if it could make my bed and shovel my walk, I’d probably marry it. It’s the easiest thing, sincerely, ever!! 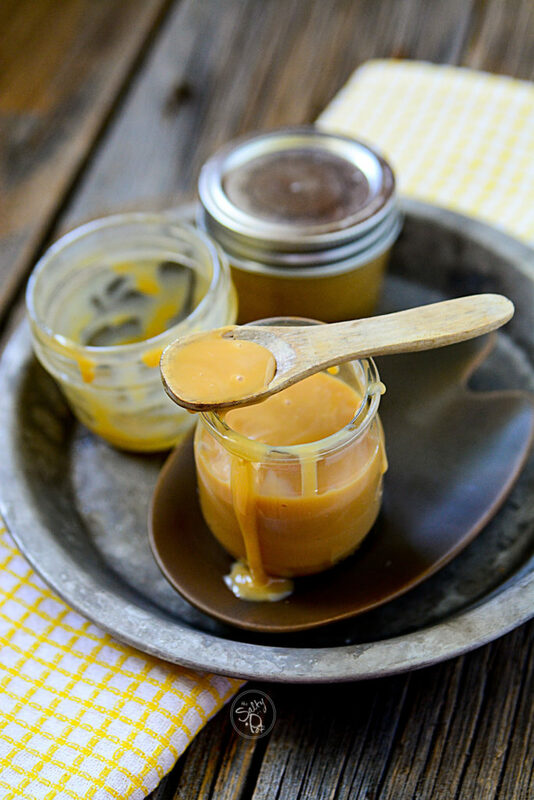 To make this wonderful type of caramel sauce – or, dulche de leche is another name – open a can of Sweetened Condensed Milk. YUM!! No licking that sharp lid – you may be left with a partial tongue that’s really no good for licking with, and you might sound funny when you talk, which wouldn’t be fun. So, just pour the soon-to-be-caramel-sauce into small jars. 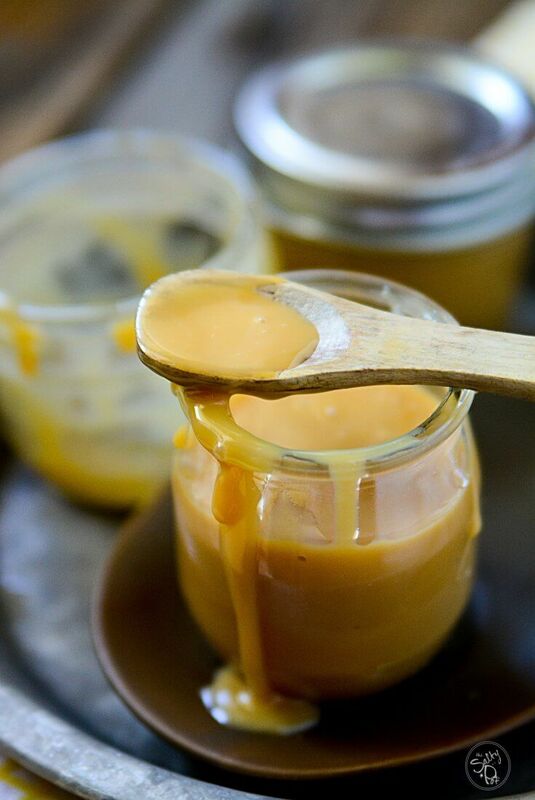 Baby food jars, small canning jars, old jam jars, whatever you have that will contain that golden sauce of amazing. Put the stainless steel rack inside the cooking insert and then place the jars on top of the rack. Fill the cooking insert with enough water to just cover the jars. Using the “Slow Cooker” button, adjust the time for 8 – 10 hours. Put on the lid and leave it to do it’s magic. If you set it in the morning, it will be done in time to be dolloped on top of ice cream, or even pie. If you put it on before you go to bed, it will be ready in the morning to drizzle onto your granola or even into your coffee or tea (which is what I LOVE to use it for!). Alternatively, and, well kind of obviously, if you have a regular crock pot/ slow cooker, do the exact same procedure for the exact same amount of time. Careful when pulling the jars out of the water, they’re going to be hot hot hot! Open the lids and marvel at the magic that happened in those 8 – 10 hours (the longer the time, the darker the caramel). This Instant Pot Caramel Sauce is SO useful with all it’s .. uses! Ice cream, cheese cakes, coffee-teas, you could even simply dip apples in it or drizzle it on banana pieces! You know what else you can use this caramel sauce on? This Instant Pot Creamy Rice Pudding!!! Ohhhh yeah… just a drizzle on top?.. THAT SCREAMS PERFECT!!! When you make this super easy Instant Pot Caramel Sauce, (because I know you will, it’s so easy!!) please let me know how you used it!!! And yes, licking it out of the jar counts as a use. Like Caramel sauce? With the Instant Pot and some know how, this is how to make the easiest Instant pot caramel sauce ever! 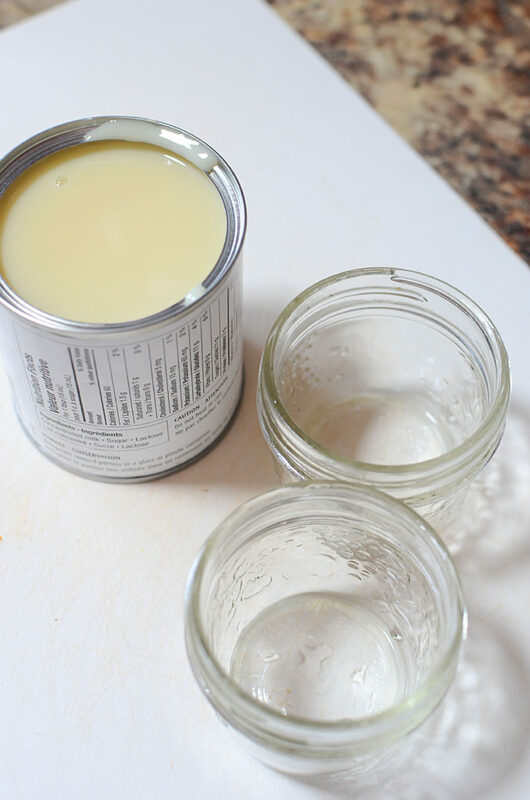 Place the jars of the condensed milk onto the racks. Try to not have them touching. You may only be able to do 3 or 4 at a time, depending on the size of the jars you're using. Fill the Instant Pot insert with enough water to cover the jars by 1" of water. Cook on low for at least 8 - 10 hours. When removing, you'll notice the milk has changed color to a beautiful golden caramel color. This is your caramel sauce! How does one pour caramel sauce on caramel sauce? Seriously though, I love that this recipe is so simple to make. Thanks for sharing. Karl, you simply get a bowl, pour caramel sauce in the bowl. Then, pour caramel sauce on top of the caramel sauce in the bowl and then marvel at it’s gorgeousness 🙂 lol! Thank you SO much for the reply! My mom had made this for us every time we went camping. I am 62 now and remember her doing it back in the 60’s. She always slow boiled (covered in water) right in the can for 3 hours and then put it right in the freezer for a couple of hours. Open it up and devour..Oh my mouth is watering..I had a cabinet above my dryer once and had a can of condensed milk above it. Well a year later I opened the can and it was already cooked and delicious! !